4k00:254K. Flight over flooded blue river in early spring, aerial panoramic view. 4k00:12Drone flying over the metallurgical plant at sunset. Heavy industry chimneys pollute the air. 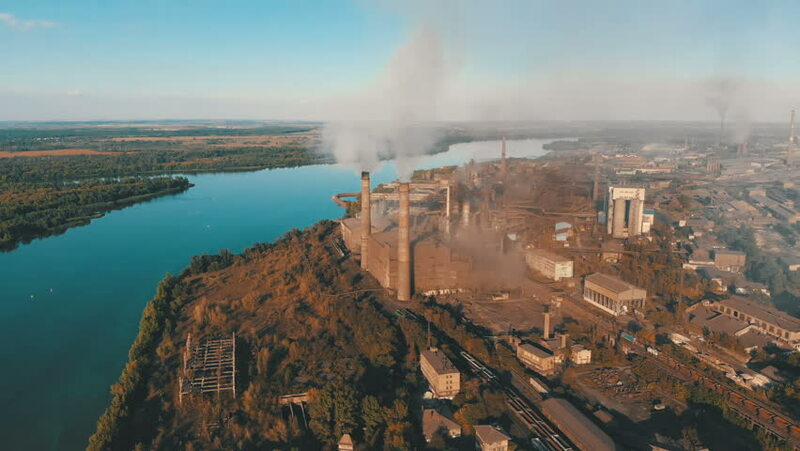 Pollution of the environment by the metallurgical plant.